The Denver Nuggets faced an 0-2 hole late in the third quarter. 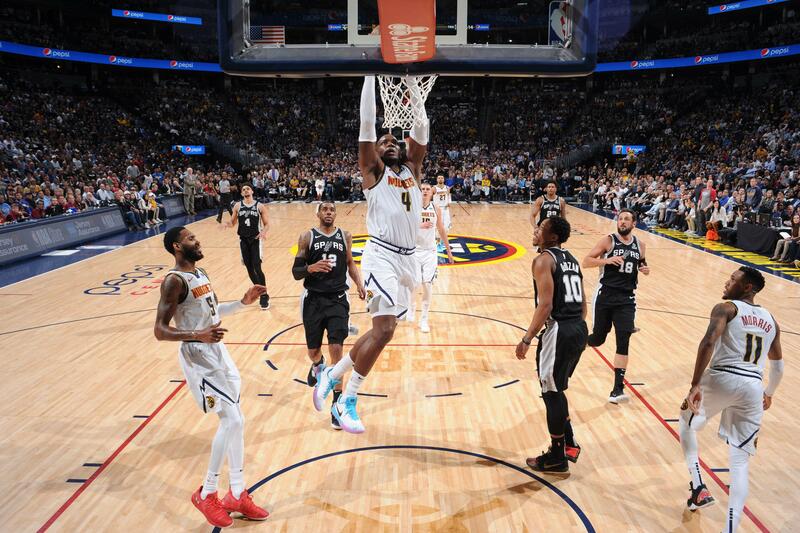 It took a massive second-half rally, but the Denver Nuggets are back on even footing in their first-round series against the San Antonio Spurs . The two teams traded baskets for much of the fourth quarter, with the Nuggets tying the game with six minutes left and taking the lead for good minutes later. The personification of the Nuggets’ comeback was Jamal Murray , who was 0-for-8 from the field entering the fourth quarter, then ripped off eight straight baskets to pull the Nuggets well ahead in the final minutes of the game. Murray’s 21 fourth-quarter points represented the highest total seen in the NBA playoffs in a half-decade. “I played horrible for three quarters, [Nuggets coach Michael Malone] told me to keep shooting,” Murray said in a postgame interview.